WTF? May God not let us meet all these I never chop men o. No dignity at all? We are divorced can you just take a walk? There is a reason you are called a man! LMAO! Omo this thing pain me o. Like walk away nowwww. Sigh! Mary J. Blige has been ordered to pay her ex-husband, Martin “Kendu” Isaacs! The singer filed for divorce in July 2016 after 13 years of marriage, and although she argued their prenuptial agreement waived any spousal support, she’ll still have to shell out some cash. 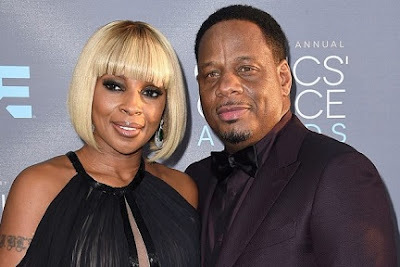 Though Blige had originally filed not to pay her ex anything, the judge’s orders are far less than what Isaacs was originally seeking: $129,319 per month.